You! Yes you there reading this! Have you ever felt that you might be taking the killing of survivors too seriously? Do you feel like the game sometimes treats you unfairly and that those pesky survivors are taunting you as they loop? Well fear not, you too can become a Gentleman (or Lady!) Killer and find a new outlook on the game for the better. Open your Steam profile up to the public, don your monacle and bow tie and take your enjoyment to the next level! 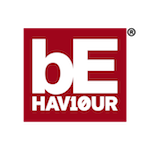 DISCLAIMER: This guide is designed to maximise your chances of having a really fun time playing DBD and may or may not give you some helpful hints to make you a better killer. The primary aim of the Gentleman Killer is to make sure that the survivors in your lobby have a great time. Your own satisfaction comes as a by-product of their own gameplay fun time. As the killer, you are the one hosting the game and therefore the survivors coming into the game are your customers. Henceforth, survivors will therefore be known as 'customers'. It is important to remember this at all times and the old adage that 'the customer is always right'. While this is usually true...we shall see later there are some exceptions to the rule. If the customer is a complete cad then they may need to be informed of this (in a Gentlemanly manner). The Gentlemen Killer may play any of the available killers at his or her disposal except for The Nightmare. This is because The Nightmare is utterly obnoxious to play against and immediately lowers the chances of the customers having a great time. If you must use The Nightmare, great care must be taken to ensure customer satisfaction. The Gentleman killer may use most available perks but should avoid those that make the game tedious for the customer. The Gentleman Killer is therefore never found using Hex Ruin, Dying Light or Remember Me. These perks are the reason god created the middle finger and are to be avoided by the Gentleman at all times. The author highly recommends the following perks: Enduring, Monitor and Abuse, Brutal Strength, Nurses Calling, BBQ and Chili, Bamboozle, Whispers and Hex Devour Hope. In almost all cases, add ons and offerings are used at the Gentleman Killer's discretion. However, add ons that are clearly overpowered and cause customer discomfort are to be avoided. I will not list them here but any killer using for example the add on 'Iridescent Head' is clearly not a Gentleman and probably justifiably has an inferiority complex. The customers may indeed clap when faced with such conduct, but they are clapping their hands over their eyes. Upon entering the game, there is a good chance you will receive an audio notification and the Entity's claws may appear around one of the customers names. There is a very high chance that this customer is running the perk 'Decisive Strike'. They are using this perk because they are very insecure about their abilities and require a band aid to help them along. Although their strike will of course be feeble, when they use it you should feign injury by calling out in pain and letting them go. You may then resume the chase or persue another customer as and when they appear. The early part of the game should be treated as a healthy game of 'catch and release' much like the skilled trout angler. A strong smack on the customers rear will send them packing and you may then seek another customer as they try to complete their objectives. Having multiple injured customers is ALWAYS preferable to a single one in the downed state. They spend their time touching themselves to get better again or seeking the firm yet gentle hands of a fellow customer. This is presumably one of the reasons they have sought a trial. KEY POINT: The Gentleman Killer never ever respects a pallet. 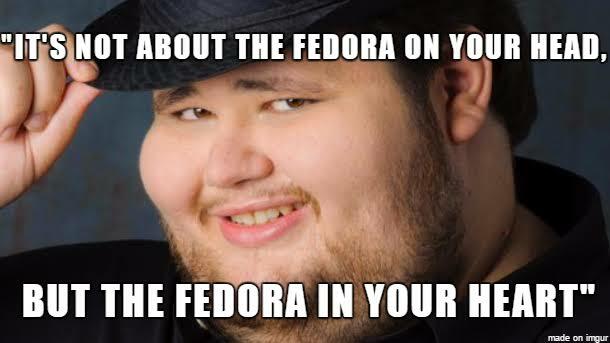 We may tip a fedora to many things but never a piece of wood. Show the customer that you mean business by swinging through that thing like a Blunderbuss. If they can use it to their advantage then destroy it immediately, otherwise resume the chase. If no other customers present themselves or you feel the time is right to press a chase to conclusion, proceed to down a customer as soon as possible. Customers can be extremely dogged in their determination not to be downed. If they appear skilled at evading you, or you feel they may waste too much of your time it is usually best to let them escape and persue another customer. They will have to go off and touch themselves anyway and you can busy yourself with the task of preventing generator progression. KEY POINT: If you have one customer hooked and you then down another, take a moment to decide what to do. If another customer is in the immediate vicinity the best course of action is to at least injure them or attempt to down them if already injured instead of securing another hook. This is because you create map pressure. By instantly hooking the next downed customer you ease the pressure on the other three. Customers want to be pressured, it is why the are here in your trial. They want to feel the thrill of the hunt. By leaving one downed and chasing another you leave a maximum of 1 customer left to both rescue from the hook and rub the one on the floor. An immense task even for the randiest of customers! Clearly if there is not a spare customer to take on the hero role at this point you should hook up the downed customer and give a chance at some rescues being made. This is especially the case if there are generators still unrepaired. If the exit gates are open and the trial has been thrilling, consider killing all customers at this point. KEY POINT: The best tales are told by the ones that get away to tell them. It is almost always best to allow freedom to the final customer where possible. They will be grateful for your mercy and it may indeed enhance their experience. It may also be best to allow freedom to a customer even if others are still alive or have escaped. The skilled Gentleman Killer knows when to show mercy and when to show strength. And then leave the area and find another customer. Head to the last known location or a generator you know they are fiddling with. However, if a customer makes an unsafe hook rescue this should be punished. The preferable punishment is to down the survivor that was on the hook but to NOT rehook them. Leave them on the ground to be touched gently but firmly by another customer. This means the scallywag customer that farmed their fellow off the hook is deprived of their points and can then be hunted down for their scandalous behaviour. If a customer has been rescued from the hook and the brave rescuer has decided to touch them under the hook then the hero customer should be targeted. Do not tunnel down the recently unhooked customer as this would make the game unpleasant for them. They should feel the fear that this might happen but then escape. This will make them feel very lucky and fill them with renewed vigour. Regardless of whether or not you kill all the customers or if they all escape, the Gentleman Killer remains dignified at the end of the match. If the customers teabag you or click their cheap inexpensive flashlights at you take it as a compliment. They do these things because little things please little minds and you have obviously made them happy. This was after all our primary goal! Always tell the customers that it was a good game after the match and refrain from any ungentlemanly conduct on the finishing screen. If a particularly rude customer continues to behave with no class after the match, set them down with a suitable gentlemanly retort such as 'A sharp tongue is no indication of a keen mind' or perhaps 'I was hoping for a battle of wits but you appear unarmed'. Why be a gentlemen killer, when you can be a gentlemen... gentlemen! So this is why the gave the Doctor suit cosmetics, got it. @Steebear Ahh, but what if a customer should give himself to you, should you appease the customer with his/her attempt of seduction? Or should you just ignore their attempts at adultry? I wanna see this, too. @OldWeirdBeard this perfected style of play brings me a beautiful 3/4k (depending on if I think the last survivor deserves the hatch for good behaviour) and at least 30,000bps each and every game with my Doctor or Bing bong boy. Reading this just makes me wanna go toy with some souls..